Since it’s beginnings in 1969, Quiksilver has combined function, fit, art and fashion to develop board shorts and clothing for ocean lovers across the globe. Quiksilver has an ever-changing array of materials, prints, and technologies. In addition to board shorts, Quiksilver designs and produces an entire line of lifestyle apparel, wetsuits, and accessories available across the globe. 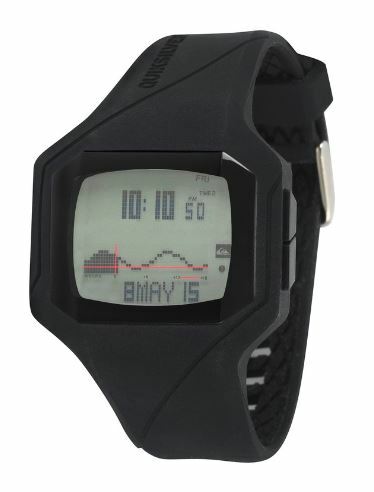 Here at Yak Outlaws, we were recently introduced to the Quiksilver watch line, something we did not know existed. Made for the water, the majority of their offerings are water resistant and some waterproof. 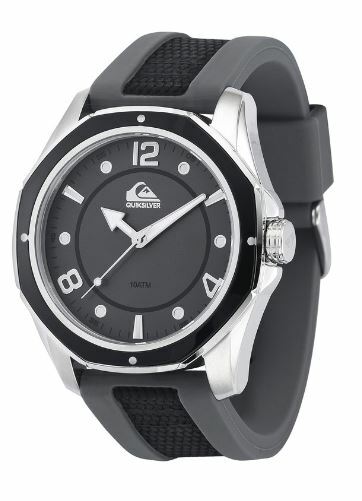 Quiksilver has a wide variety of watches with different styles and color schemes in both digital and analog format, so you’re destined to find something that works best for you. Their watches are great because they are versatile enough to go with you to work, and then whatever you do outside of work including fishing, surfing, jogging, running- you name it! Check out our recommendations below and also be sure to check out their website at www.quiksilver.com for the full line. The Guide provides Date, Tide and Moon Phase tracking through a fine-tuned, analog movement. A versatile Stainless Steel case wraps to the wrist with a custom tooled silicone strap. The Guide is a well-informed, high performance watch for all marine conditions. 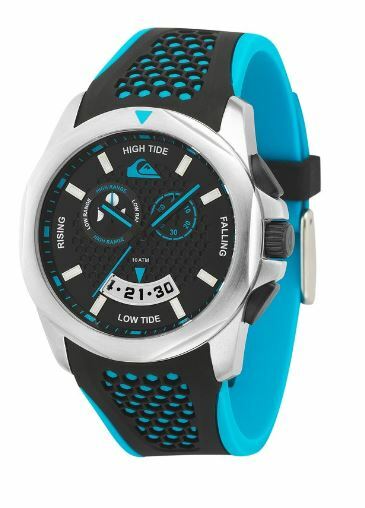 The Addictiv 2.0 Tide Watch featuring Quiksilver’s award winning DEEP TIDE System Technology with 15 years of pre-programmed tide data for 200 spots around the world. It’s packed with features and boasts a polycarbonate case with reinforced acrylic crystal face, marine grade stainless steel buckle, durable silicone strap construction and loads more. A necessary tool for the waterman’s life. The Mariner is a staple in the Quiksilver collection that delivers a custom tooled silicone band with a nylon inlay. The burly Stainless Steel case and bold luminous hands allow for easy readability during surf, swim or sail.